Considering the amount of time, effort and money I spend on the rest of my appearance, my hair is something I've always neglected. I always used to visit the hairdressers regularly as I loved the time out and pamper but as I've become older, and most importantly, busier, getting my hair cut is something I keep putting off - and besides, I love how long my hair is and usually hairdressers cut way too much off!! 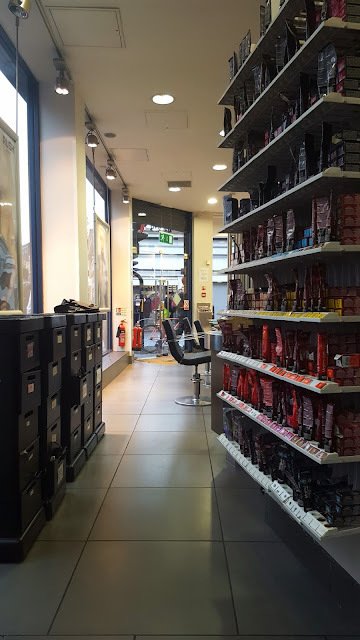 The salon is literally 30 seconds walk from King's Cross station and really easy to find - I used my trusty Google maps! Upon arrival, I was greeted by a friendly team and offered a drink (yes wine is included!) and a chance to sit down whilst I waited for my stylist. I'm not a wine drinker personally but I think it's such a lovely gesture to be given wine whilst at the hairdressers as it adds to the whole pamper feel! I was given my drink along with a handful of magazines and some chocolates, which again, I thought was a fantastic touch - these small things really do make a big difference. 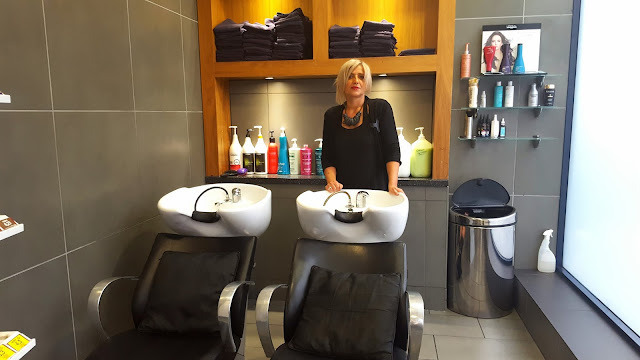 When it was time to talk about what I wanted to achieve with the haircut, the stylist pulled up a chair beside me and came down to my level, rather than standing behind me making eye contact in the mirror, as I've always experienced in the past. I thought this was a really nice, personal gesture, and I noticed all the other stylists going to the same to other clients which I thought was really nice. Considering I hadn't had it cut for 6 months, my hair was in reasonable condition, I mean, it did need cut but it wasn't in a horrific state. I think this is partly due to the fact that I've never dyed or highlighted it and I very very rarely use any heat whatsoever! We decided to cut a minimal amount off, of course, as I love having really long hair. As I hadn't had any treatments on my hair for longer than I care to admit, we decided to try the Kerastase Fusio Due treatment which can be made up from 20 difference unique combinations of concentrated formulas for a sublime and instant hair transformation - treatment price £16.50. Overall, I thoroughly enjoyed my experience at RUSH King's Cross. Everyone was really friendly and I was SO happy that my stylist cut as much as I asked off the length and no more! 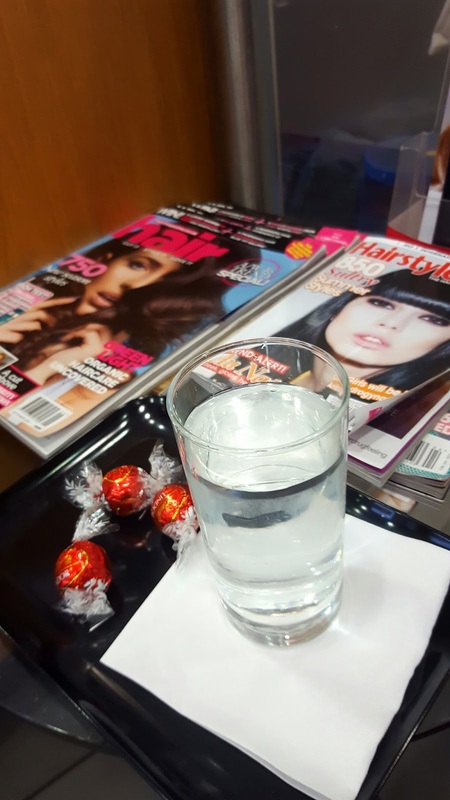 I think the extra touches of wine, chocolates and a personal consultation give the salon an edge over any others I've been to and for those reasons I would most definitely go back. You can see a full price list for RUSH King's Cross here. 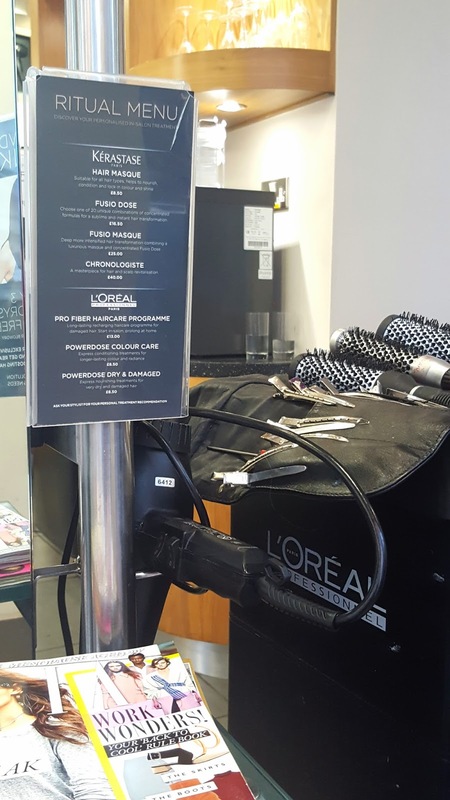 If you'd like to visit, I'd recommend booking an appointment as they were extremely busy when I was there - a popular salon for a reason! Let me know if you book an appointment, I'd love to hear other people's views too! some salons are better than others! I've had mixed experiences at Rush to be honest and I do think they are very overpriced. However, glad you had a good time there and your hair does look beautiful!